Well Midland it seems everywhere we go these days we are seeing election signs. 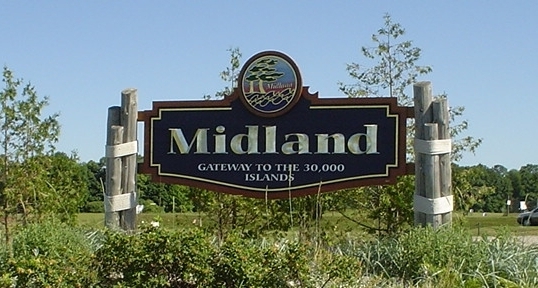 With a Provincial election this week followed by a Municipal election this fall, Midlandcommunity.ca has decided our next series of updates should focus on the last four years of Midland Council activities and accomplishments in ‘helping Midland’s future arrive on schedule’. To help gain perspective on where we once were and where we are now, please consider Midlandcommunity’s update from July 2015 below. It focuses on some of Midland’s challenges and opportunities apparent at that time, especially how escalating Police and Fire costs had become Midland’s Achilles heel. Most of our Council members elected in 2014 ran on a platform to control spending, encourage business/investment friendly planning policies and emphasize economic development – three ingredients essential to getting Midland back to work and providing local employment opportunities for our youth. Early in its term, our current Council reiterated Midland’s support for a review of policing from both a cost and service perspective. After months of presentations, public meetings, number crunching, OCPC oversight, and a whole bunch of determination and grit displayed by a majority of our elected representatives, the right decision was made to transition to the OPP. This was a courageous decision that will benefit Midland permanently in the years ahead. How is 2015 relevant to today’s discussion? Because as of Monday June 4th, every current member of Council who is seeking re-election in 2018 supported the decision to transition to the OPP – George MacDonald, Glen Canning, Stewart Strathearn and Mike Ross. Strong leadership remains essential to keep Midland moving forward against the headwinds of inertia and complacency. The policing decision alone will provide our town with several million dollars in the next ten years to re-allocate to existing or new services and needed investment in infrastructure. This year these savings are allowing our town leaders to invest upwards of $1 Million on improved technology, staff training and development, and a host of other enablers identified in the town’s service delivery review process. Midland cannot rely on higher levels of government to solve our local challenges – they have their own challenges. We need to take charge of what we control and act on opportunities when we see them. The Association of Municipalities Ontario (AMO) forecast average municipal tax increases of more than 8% a year for ten years across more than 400 municipalities in Ontario. This had the ominous sound of a self-fulfilling prophesy where some elected officials could claim it is a big accomplishment just to be a little better than the average municipality. We are lucky to have elected representatives seeking re-election in 2018 who have demonstrated they are prepared to set the bar higher. Congratulations Midland Council on 2018’s tax increase coming in basically flat over 2017. It would not be possible without candidates with the conviction and necessary qualifications to accomplish this result. Midland Matters, You Matter and Getting Involved Matters. 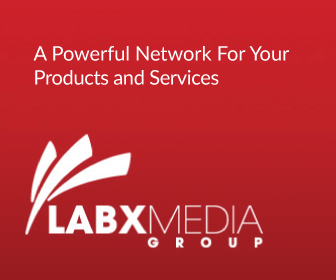 The Association of Municipalities of Ontario (AMO) recently announced that an 8.35% tax increase every year for the next 10 years is the medicine Ontario residents will need to take in order to maintain current service levels and municipal infrastructure. If AMO is correct about this, whatever municipal taxes you are now paying, expect them to double in less than 10 years. So where do we begin and why are we so tolerant of government waste, abuse and under-performance? 4) Midland shares the distinction with Penetanguishene of being one of the highest taxed communities in all of Simcoe County. Fire and Police costs are two of the key contributors to this sad report card. Both services have had their share of attention lately – mainly due to the fact that their combined budgets exceed 40% of Midland’s operating budget and are growing. The 2015 Police budget increase is projected somewhere in the neighbourhood of 7% before any salary increase which may result from a negotiated settlement or through the broken “interest arbitration” system where arbitrators sometimes decide how much our elected governments should be spending on fire and police. Meantime, here is a chart of 2013 police expenditures based on the Financial Information Reports (FIRs) all municipalities file annually with the Province. Note these numbers do not include any revenue, or court security spending or prisoner transportation spending to try to compare apples to apples as much as possible. You will see that on a per resident basis, Midland Police spending is the 2nd highest with only the Barrie Police higher. You will also note a clear pattern in the numbers any way you decide to slice and dice them. Crime is also reported to be down 30-40% so it is timely and prudent to look at every possible way to reduce costs while maintaining a safe, desirable community. The Police Chief proposed outsourcing police dispatch to Owen Sound as a way to rein in costs. While there have been a few critics of this decision, it makes complete sense given our current circumstances in Midland and the road ahead. However, there is a Provincial body called the Ontario Civilian Police Commission (OCPC), which will conduct a hearing to assure us that this prudent cost cutting measure will not impact public safety. The OCPC hearing will be held at 7:00pm on August 20th at Midland Town Hall and you are encouraged to attend. With respect to Fire, we applaud Council’s recent decision to select Paul Ryan, the Fire Chief of Penetanguishene, to oversee fire operations in Midland as well. Sharing a Fire Chief makes perfect sense as both Towns seek to maintain services while eliminating unnecessary costs. The Fire Collective Agreement (CA) needs to be fixed so that the interests and needs of the community are the first priority instead of the interests of the firefighters or their union. Salaries for Fire and Police personnel and for all public service workers for that matter need to be frozen until we get Midland back to work. We need to start talking about all these inefficient structures and related costs sooner rather than later. We don’t need an agenda that focuses on protracted debate around fireworks, campfires or farmers markets; we need to get serious about fixing the emergency services engine where we‘re leaking oil all over. We also need to commit to having a business friendly and resident friendly community so we can attract some much needed growth. This is how we see it halfway through 2015. Be the first to comment on "May Council Update"